I had never heard of the Log House Museum before this week. It is a small neighborhood museum in West Seattle, just a short trip across the bridge. Before visiting the museum I had certain expectations, very few of which turned out to be accurate. I was under the impression that an institution called the “Log House Museum” would be about log houses, or perhaps focus on that particular log house’s history, or at the very least be in a log house. This museum is in a log carriage house, so I suppose the third option applies. Aside from a plaque on the exterior of the building, there was actually no information about the carriage house or any other log houses. I was a little disappointed by this discovery. 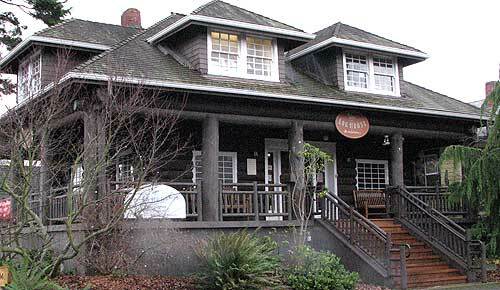 The Log House itself is actually the carriage house of the Fir Lodge, one of the first year-round homes on Alki. The Southwest Seattle Historical Society purchased the carriage house in 1995 and the museum opened in 1997 following some intensive restoration. The gallery space occupies what was once the main room and kitchen of the old carriage house. An enthusiastic and friendly welcome by the museum manager and director greeted me at the door. They immediately launched into stories about the neighborhood and upcoming events at the museum. A topic of particular note for the Log House Museum is the raising of their newly restored totem pole. Set to be raised in the next few months, this totem pole was the second to stand at the Admiral Way viewpoint. It stood at the viewpoint from 1966 to 2006 when it was removed due to severe wear and damage. The museum received the totem pole with the intent that it should be restored and displayed. They are very excited to be coming to the end of this long project and eager to have the totem pole in its final home outside the museum. A walking tour was given which touched on a few local landmarks relevant to the museum. First stop was the Fir Lodge, the original homestead to which the carriage house belonged. For many years it was a restaurant, but in recent years it has sat vacant and is now listed for sale. Next was the Alki Landing Monument, which marks the point where the first white settlers came ashore in 1851. 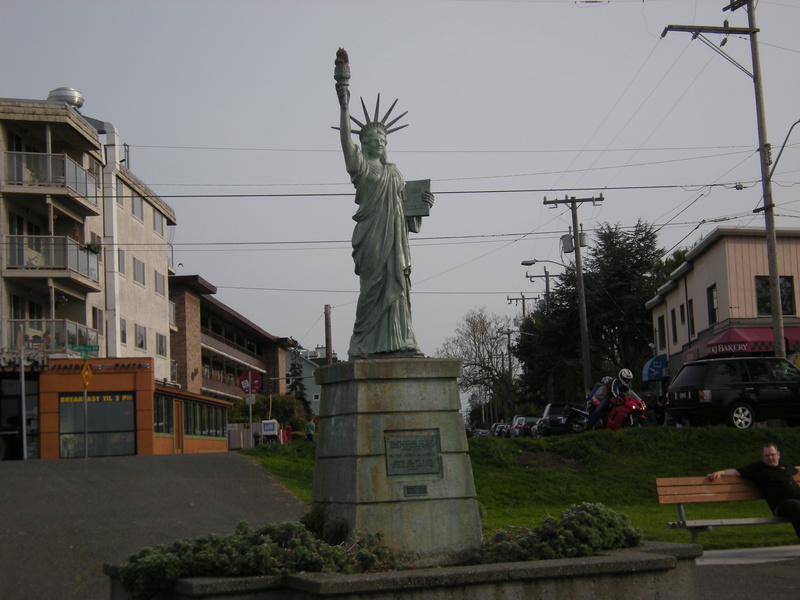 Finally, we stopped by the replica Statue of Liberty erected on Alki in the 1950s by the Boy Scouts of America’s “Strengthening the Arm of Liberty” project. This is actually a replica of the replica, as the original 50’s statue is in the museum storeroom after suffering severe vandalism. Only after all this was I able to explore the gallery space. The current exhibit on display is “Telling Our Westside Stories: Work”. There is little explanatory text, either about the exhibit or about the individual objects. Cases covered topics like “What I Wanted To Be When I Grew Up” and “Teaching Jobs” and featured quotes from what I assume must be local West Seattlites. The genders, ages, and ultimate professions of these individuals were completely absent from the gallery. It was challenging to draw much meaningful information from so little information. That being said, the objects chosen for each case were interesting and seemed well cared for. There are two video displays in this space, which is a little surprising considering the size. One touched on the history of the steel industry, especially the local steel mill. The other featured a collection of oral history stories collected by high school students from elderly members of the community. They were interesting if a bit segmented and without a ton of context. Again, the staff served to bridge the gap in understanding. Without them, the message would have been a bit lost. The cases in the much smaller side gallery discuss the history of the ferry service to West Seattle. The story about the SS Dix was one I had never heard before and I found it fascinating. 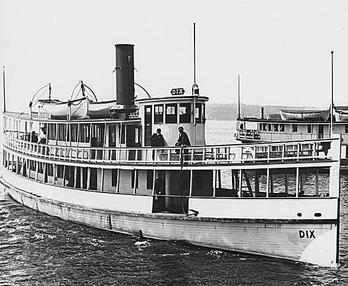 It sank in 1906 after a collision with the Jeannie, an Alaska Coast Company steamer, with a loss of as many as 45 lives. As a Seattlite, I was surprised to find I had never once heard of this event. Ultimately this is a museum for the community and they work hard to involve their neighborhood in their exhibits. The staff really care about the work that they do and that is wonderful. Unfortunately, visitors from outside of West Seattle might have a little trouble connecting to the stories.